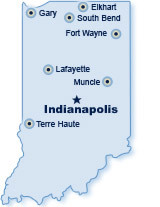 Indiana Crawl Space Repair provides crawl space encapsulation, insulation, waterproofing, drainage, vapor barriers, mold remediation, and structural repairs in Indiana and the Greater Indianapolis area. Indiana Crawlspace Repair is a responsible crawl space waterproofing, crawl space moisture control, insulation, and foundation repair contractor in Indiana and the greater Indianapolis area. We use state-of-the-art crawlspace waterproofing systems and crawlspace vapor barrier products to keep your damp crawl space dry. Whether you have water in your crawl space, insulation problems or want to dry out your crawlspace, we can help with your crawl space repair. If you think you have mold, crawlspace water, or moisture problems of any kind, we want to help. As experienced crawl space environment experts, we offer superior products to solve all your crawlspace problems. We also specialize in crawlspace dehumidifiers and drying systems. We are experts in keeping crawl space dry to keep your home as healthy and dry as possible. Indiana Crawl Space Repair has a variety of solutions that can help your home. Whether you live in Avon, Anderson, Brownsburg, Bloomington, Brazil, Carmel, Cicero, Columbus, Crawfordsville, Danville, Ellettsville, Fairland, Fishers, Franklin, Greensburg, Greenfield, Greenwood, Indianapolis, Jasper, Jeffersonville, Kokomo, Lafayette, Lawrence, Lebanon, Logansport, Madison, Marion, Martinsville, Mooresville, Muncie, New Castle, New Palestine, Noblesville, North Vernon, Pendleton, Peru, Seymour, Shelbyville, Terre Haute, Westfield, or Zionsville, IN we can help. 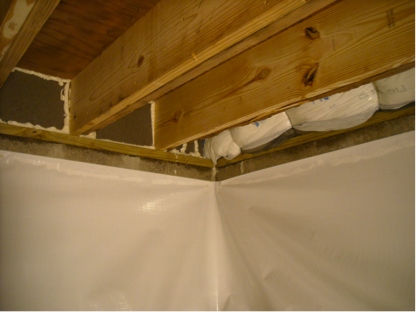 Healthy Crawl Spaces with our Economical Crawlspace Encapsulation Systems! Since we are constantly working on damp crawlspaces in the greater Indianapolis area, we are experts in structural floor repairs too. Whether you have sagging, bouncy, or unlevel floors, our solutions can help you. Plus, we’re not only waterproofers, but we’re experts in structural floor repair. Whether you have foundation cracks, drywall cracks, or sagging floors, our structural repair specialists can help fix the problem. We’ve fixed hundreds of foundations and floor systems in homes and commercial buildings throughout the area. Fixing your damp crawlspace before it becomes a big problem is the most affordable and effective option. You’ll avoid extra costly structural repairs and decreased home value. For our trained crawlspace technicians, a typical crawlspace repair usually takes less than a few days to complete. Many of our systems come with a warranty – so that you know the problem was fixed right. Give us a call us at 317-893-7016 to request a professional evaluation from our foundation repair experts. To fix your wet crawlspace, sagging or cold floors, contact us to schedule your Free Quote Today! **Lifetime Transferrable Warranties are for the lifetime of the home or 2 transfers of ownership. The CrawlDrain drainage system warranty guarantees no standing water in the crawl space. The sump pump is a 3 year parts and labor warranty. The CrawlSeal encapsulation system warranty guarantees the seams, sealants, and against rips or tears in the plastic. For more information about the warranties, request a copy of the warranty.